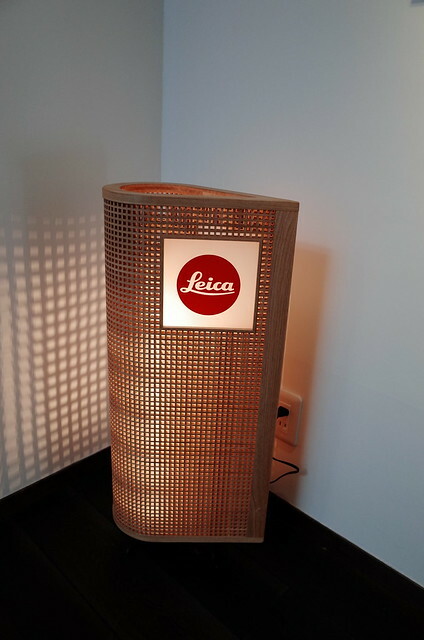 The Leica Kyoto store photo gallery. The newly opened Leica Kyoto store has their products located on the first floor. In the back area of the store, there is a Japanese style room setup like a studio, a small oriental indoor yard as well. Most of this is preserved from the old Kyoto store that it was before. There is also a gimmick where a Leica I is inside an embedded hearth in the wall. On the second floor, the lamp caught my eye. "Kyoto Seen By Magunum Photographers"
and has photos from the 50's to very recently, and depicts Kyoto in a unique manner. Robert Capa, Elliott Erwitt, René Burri, and Martin Parr were some of my favourites. The photo exhibition is open throughout June, so if you're in the area, like cameras, and like Leica, it is well worth a trip to look at the cameras and look at the photo exhibit as well.